We create attractive content to provide the best answers to your customers questions. We provide structure, experience and clarity to your marketing. We provide outsourced content marketing and social media service that makes a sustained impact on your search rankings. We generate increased sales leads with inbound marketing strategies for your website that work. Using the HubSpot automated marketing platform we drive extra business for your sales team. With years of knowledge and experience, our certified Hubspot development team can build you the most remarkable, search friendly website using the power of Inbound Marketing principles. Today smart marketing is all about integrated digital marketing solutions. We provide you an expert service, encompassing all facets of digital and social media. Our digital marketing team will get you in front of your opposition in social media. Is your Business looking for an advantage that disrupt your Marketplace? Every day, thousands of entrepreneurs in Silicon Valley and all over the world are trying to innovate, destroy and disrupt your industry. We make sure you are keeping up with the times. 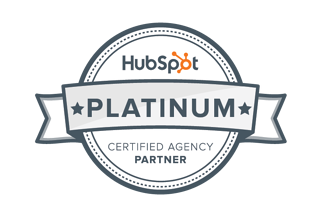 Advertising and marketing is caught up right in the middle of the social and IT technology revolution, and so is The Kingdom as a HubSpot Platinum Certified Partner. Our strategic business and working with the Global NASDAQ listed HubSpot, keeps us in close touch with the marketing-technology revolution. We are all technology geeks at the core, with digital marketing, graphic design and advertising expertise and experience. We are edgy and effective digital marketers. The studio team are made up of graphics designers, computer programmers, website developers, social media experts and content marketing experts, all there to innovate and build your job fast. Well not quite that fast, but we strive to be quick. We use the cloud in everything we do. It’s made business much faster and more robust. Everything we do for you is done quicker using the HubSpot platform.